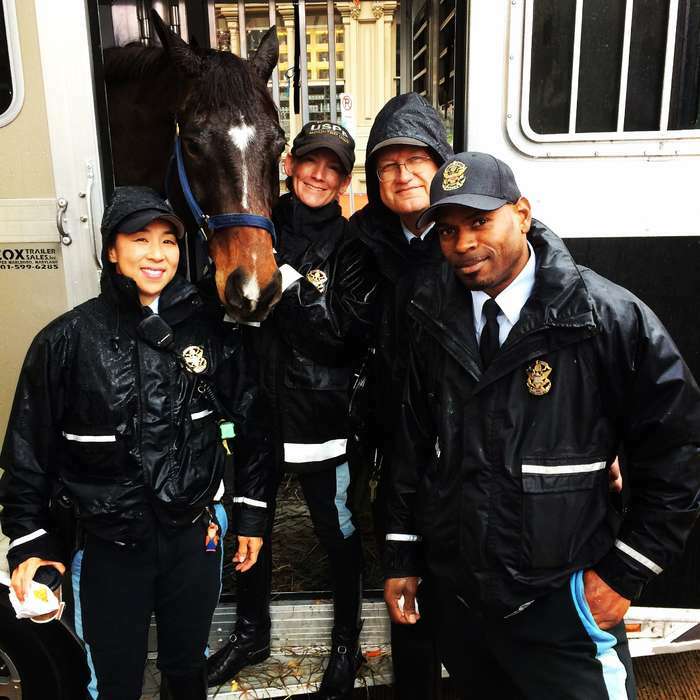 WASHINGTON, Sept. 20, 2017--The Washington International Horse Show (WIHS), one of the most prestigious and entertaining equestrian sporting events in North America, is again proud to offer the First Responders Ticket Program created to thank First Responders in the national capital region with complimentary tickets. Now in its second year, the WIHS First Responders Ticket Program, presented by AT&T, with support from Keshishian & Sons, will honor local Fire, EMS, Police and other First Responders, offers complimentary tickets to First Responders and their families at the Washington International Horse Show and special recognition throughout the six-day event, which will take place October 24-29, 2017, at Capital One Arena (formerly Verizon Center). -- For more information, please contact WIHS at 202-525-3679 or info@wihs.org. 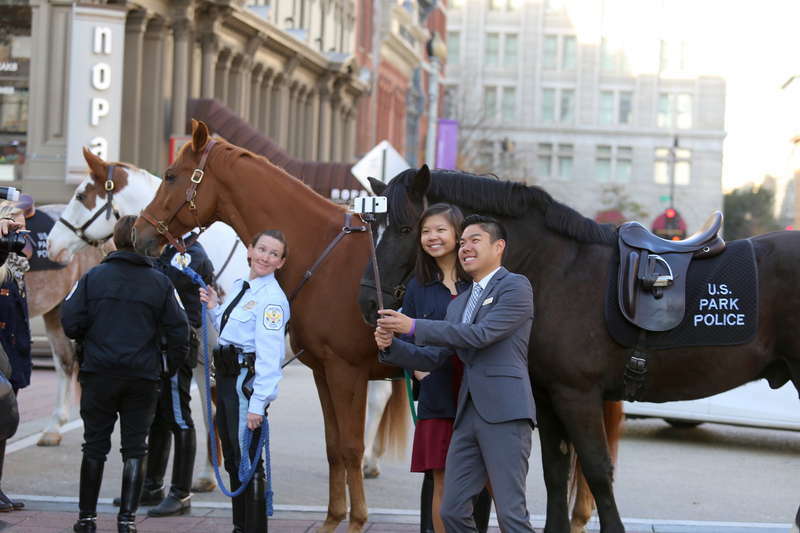 WIHS' relationship with First Responders is most visible through its annual Breakfast with the Mounted Police, a long-honored and fan-favorite tradition recognizing mounted police units across the region. The outdoor buffet--including treats for horses--will be held outside Hotel Monaco on Wednesday, October 25, from 8-10 a.m., rain or shine. This event is open to the public and provides a great opportunity for the local D.C. community to meet the officers and their mounts. The First Responders Ticket Program is based on the popular WIHS Military Ticket Program, presented by Fidelity Investments, with support from Cherry Knoll Farm and Keshishian & Sons, which has provided more than 21,500 tickets to military families since its inception, and culminates with WIHS Military Night on Friday, October 27. The events, competition and exhibitions on this evening are about speed and power as the WIHS honors the U.S. Armed Forces. Tickets for the general public are available at the Capital One Arena box office, at Ticketmaster.com or by calling 1-800-745-3000. The show runs Tuesday, Oct. 24 through Sunday, Oct. 29 with day and evening sessions except Sunday (daytime only). Daytime tickets (general admission only) are $15 (plus applicable service charge) with children 12 and under admitted free. For evening performances, tickets start as low as $20. For group discounts, contact Capital One Arena Group Sales at 202-661-5061. For more information on tickets and discounts for military, seniors and students, please visit http://www.wihs.org/tickets/. For more information, please join us on Facebook, and follow us on Twitter and Instagram. Tag us using #WIHS2017 and #HorsesInTheCity. 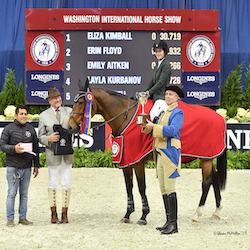 Established in 1958, the Washington International Horse Show is one of North America's most prestigious and entertaining equestrian events attracting more than 26,000 spectators annually to Washington, D.C., for Olympic-level competition plus community and charity events. More than 500 top horses and riders arrive from all over the globe to jump for more than a half a million dollars in prize money. Highlights include the $130,000 Longines FEI World Cup™ Jumping Washington for the President's Cup, presented by Events DC, the $25,000 Puissance high jump and $50,000 Speed Final on Military Night and Kids' Day, a free, fun and educational community event. WIHS, an official USEF Heritage Competition, is rated CSI4*-W by the Fédération Equestre Internationale, the world governing body for horse sports. The Washington International Horse Show Association, Ltd. is a 501(c)(3) nonprofit charitable organization based in Washington, D.C.